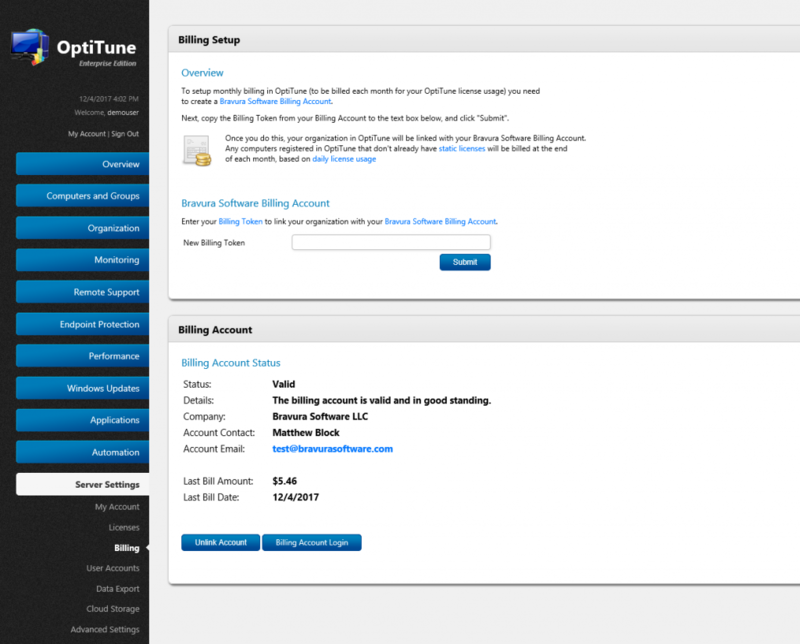 Monthly Billing – You can now pay for OptiTune licenses at the end of each month, based on your daily license usage. You can also still buy OptiTune licenses for 1 year to get a discount. To setup Monthly Billing, register for a billing account at https://www.bravurasoftware.com/billing/. Then, add your “Billing Token” to your account in OptiTune, under “Server Settings” > “Billing”. Your stored credit card will now be billed at the end of each month for your actual license usage. 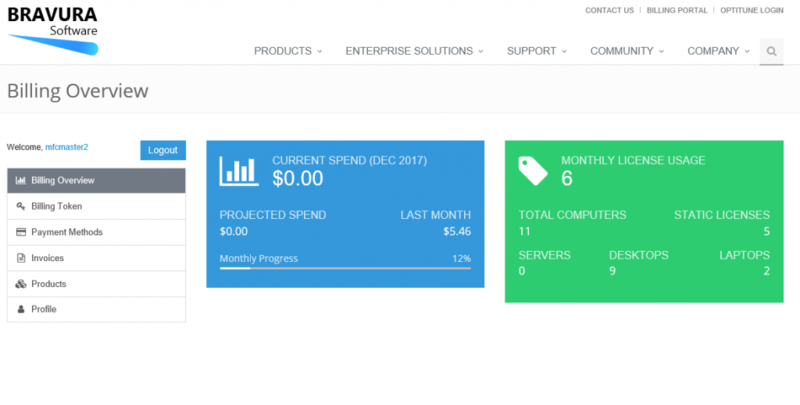 Self Hosted Monthly Billing – Self hosted versions of the OptiTune management server can now also use monthly billing to pay for licenses. The process of setting this up is the same for the cloud hosted version of OptiTune, described above.